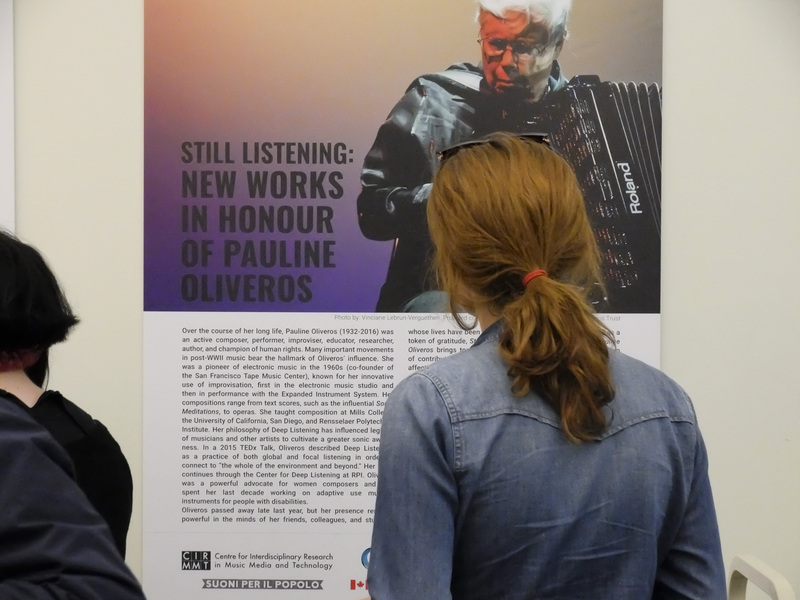 Still Listening: New Works in Honour of Pauline Oliveros (1932-2016), was a project conceived to mark the eighty-fifth birthday of Pauline Oliveros, her sudden passing in November of 2016 transformed the birthday surprise into a tribute to her life and work. 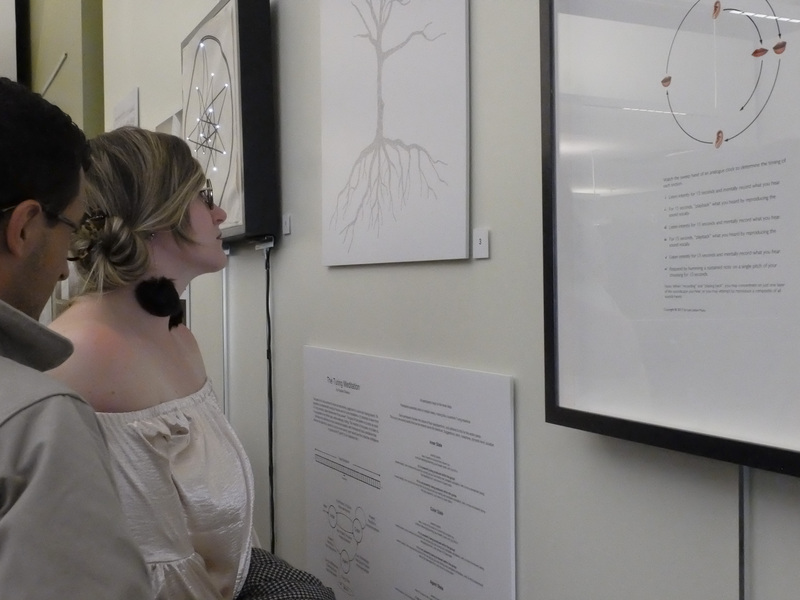 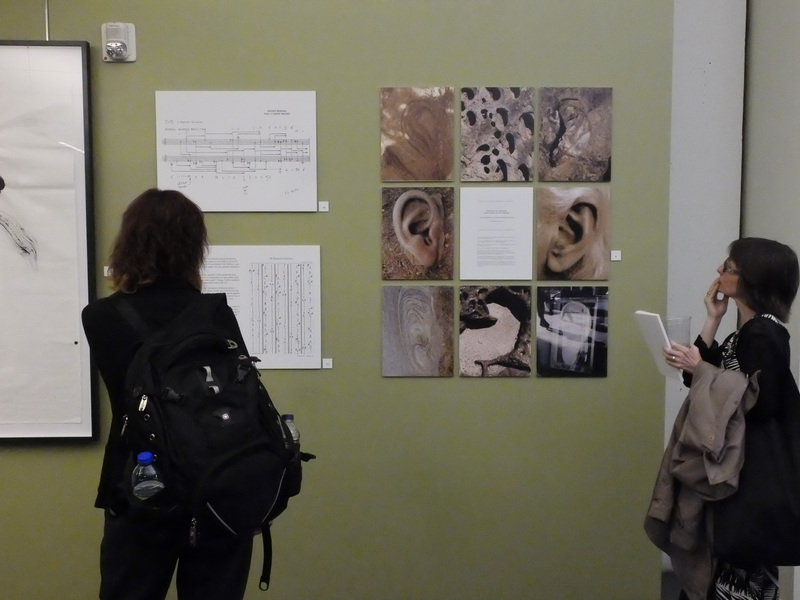 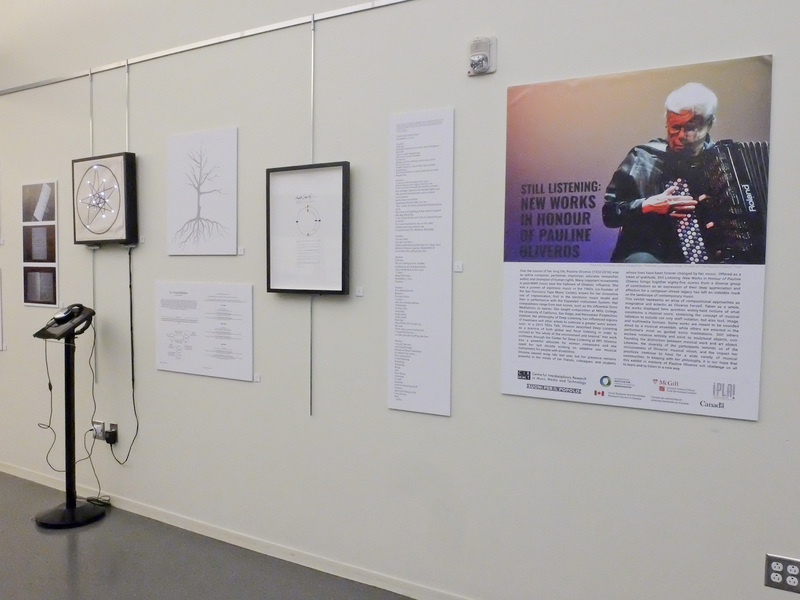 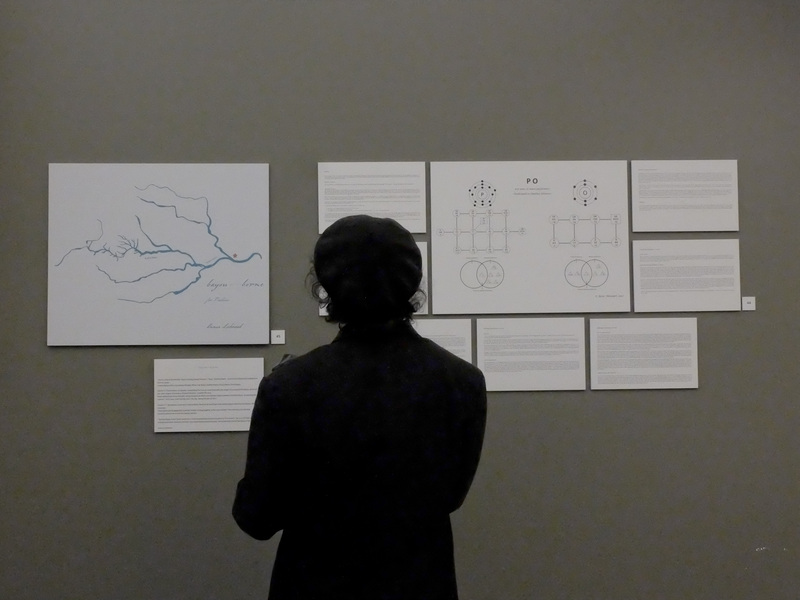 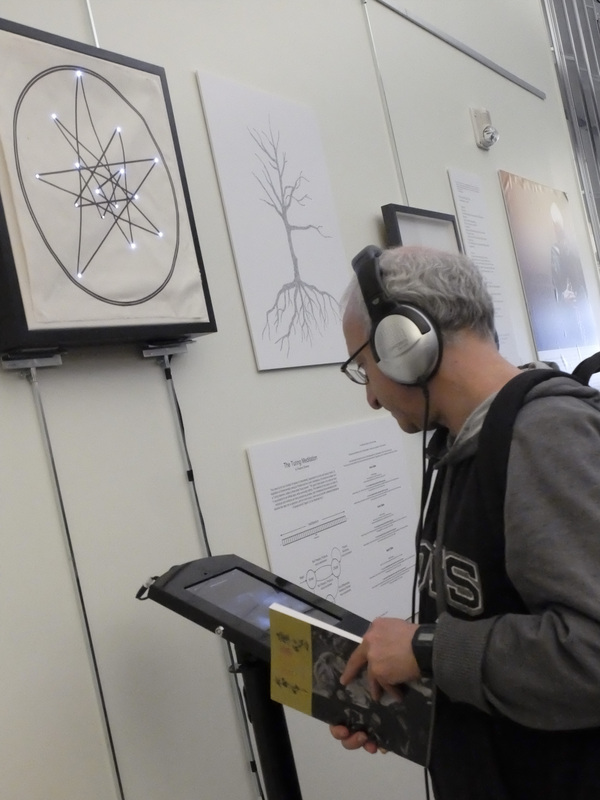 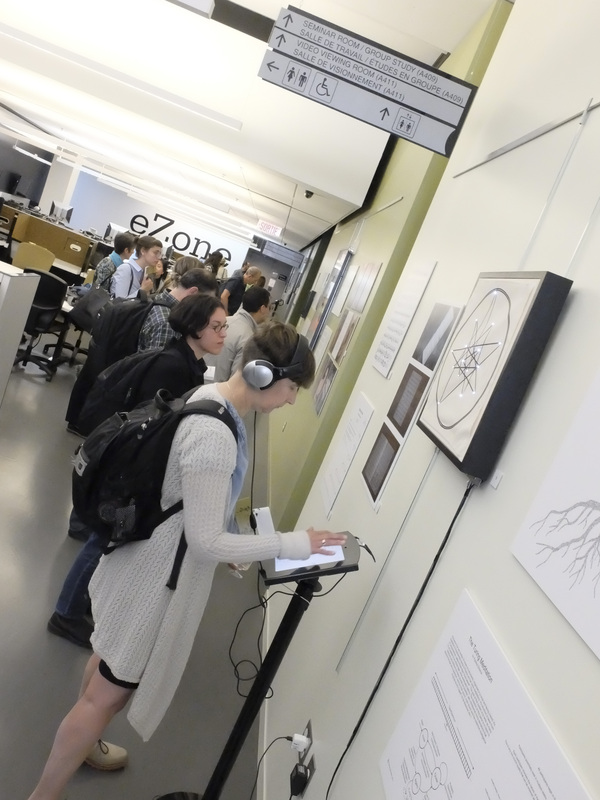 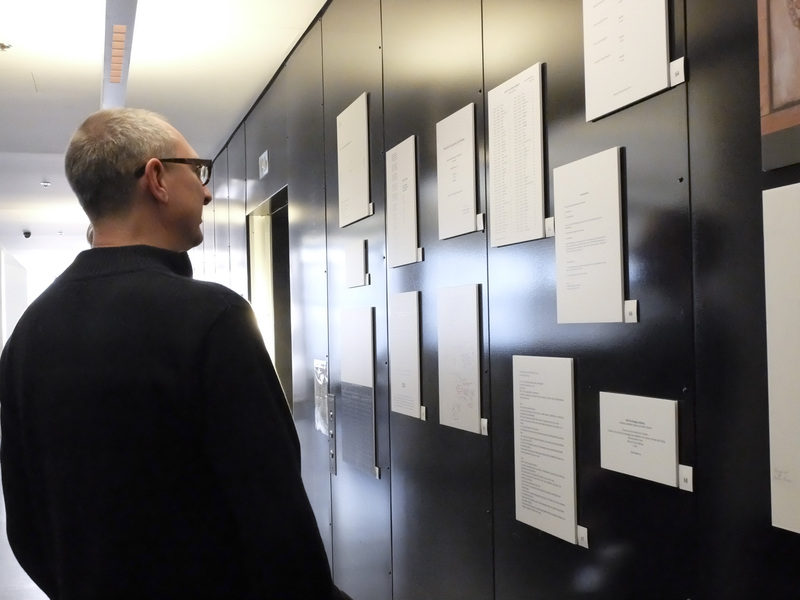 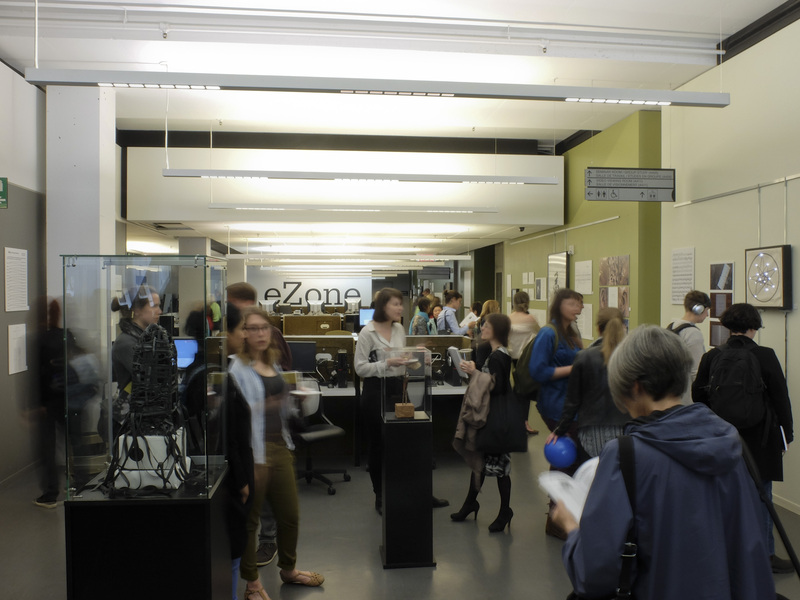 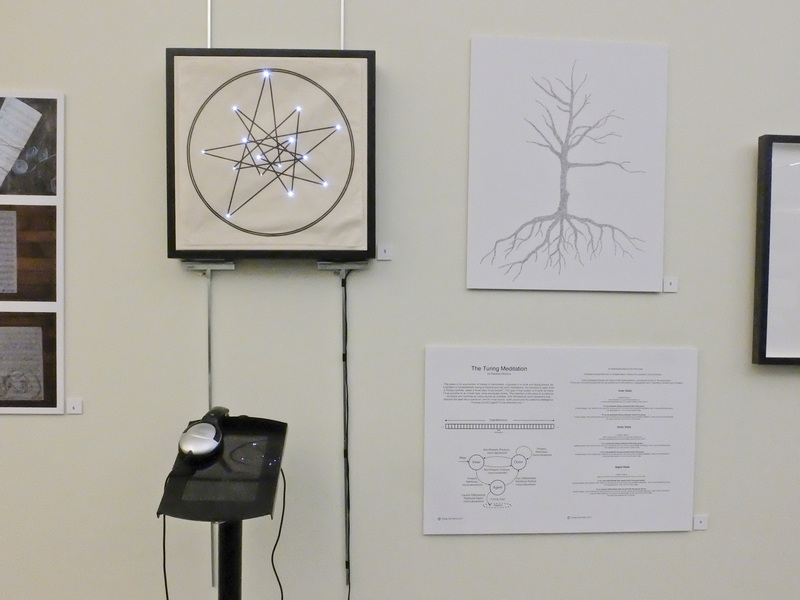 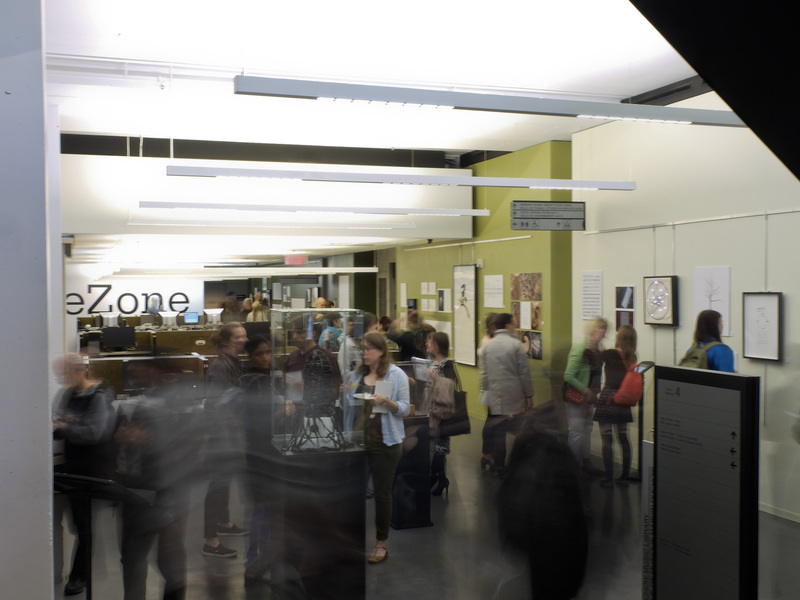 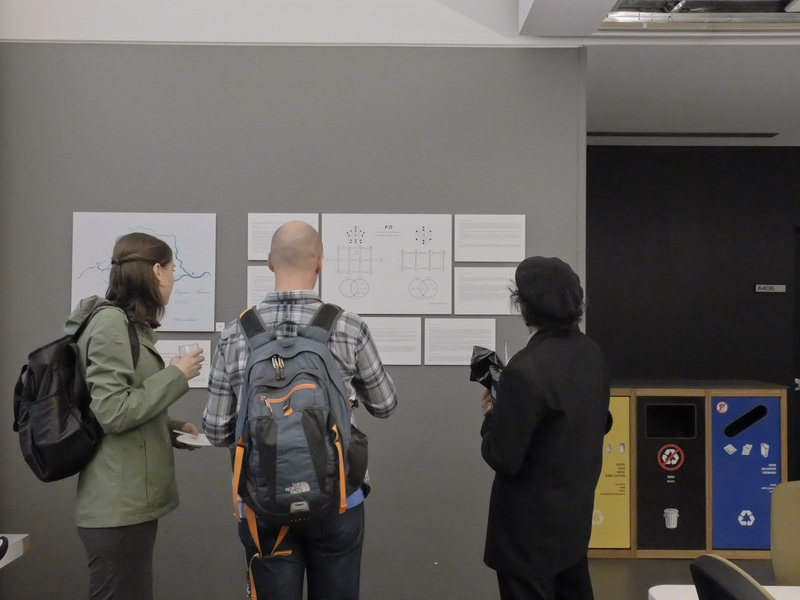 The exhibition at the Marvin Duchow Music Library at McGill University in Montréal, Quebec, was organized by Eric Lewis and Ellen Waterman; and curated by Katherine Horgan, Dancy Mason, and Landon Morrison. 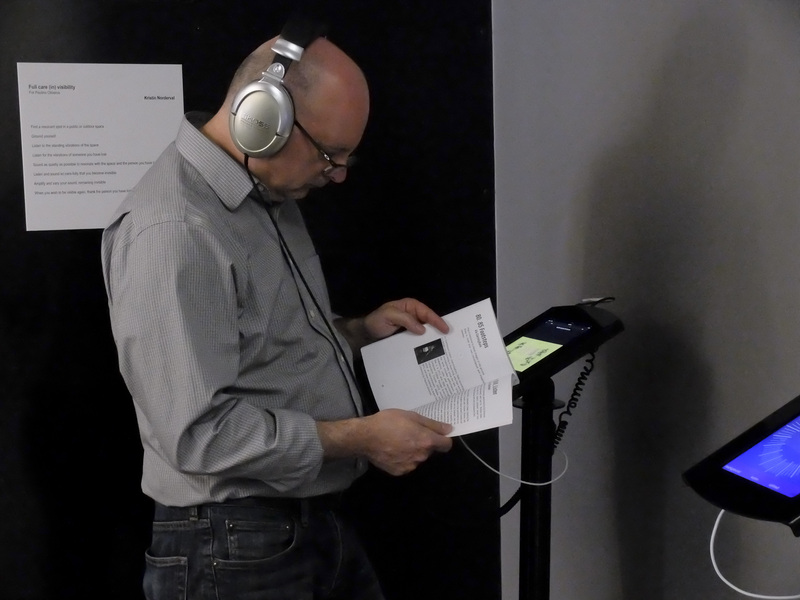 Eighty-five artists were invited to create an eight-five second score for exhibition. 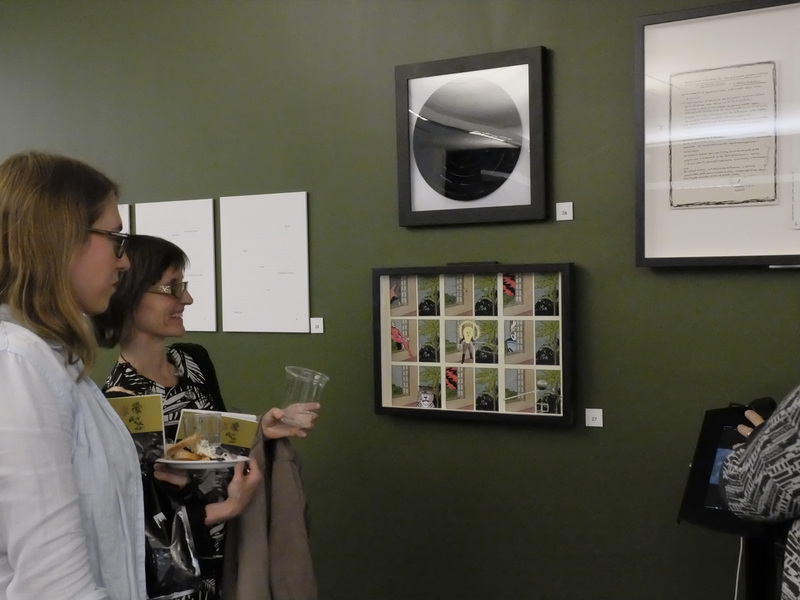 The exhibition opened June 2, 2017 and runs until the Fall of 2017. 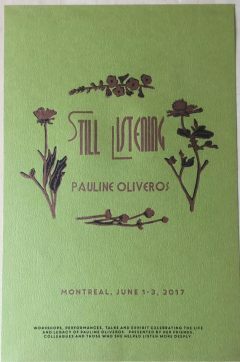 Visit the project website stilllisteningoliveros.com to listen to some of the scores and learn more about the exhibition.